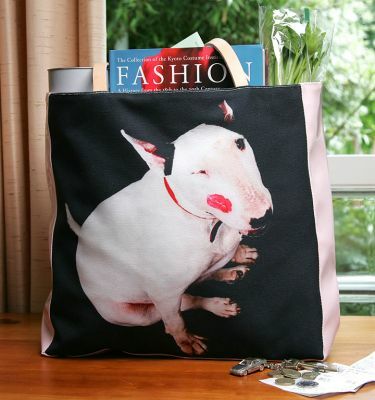 Our photo of Kiko -- with his kiss -- printed on canvas, and then custom sewn into a vinyl shopping bag or beach bag. Fully lined, and of the best quality. Any of the photographs on this website can be put on a shopping bag, even with a choice of vinyl colours. New from Lucies Farm Ltd.